The Walt Disney Company is pulling out all the stops to celebrate Mickey Mouse’s 90th birthday — and rightfully so. Spanning the globe, birthday celebrations will take place at all Disney Parks with special merchandise, parades, parties, overlays, and food and beverage. 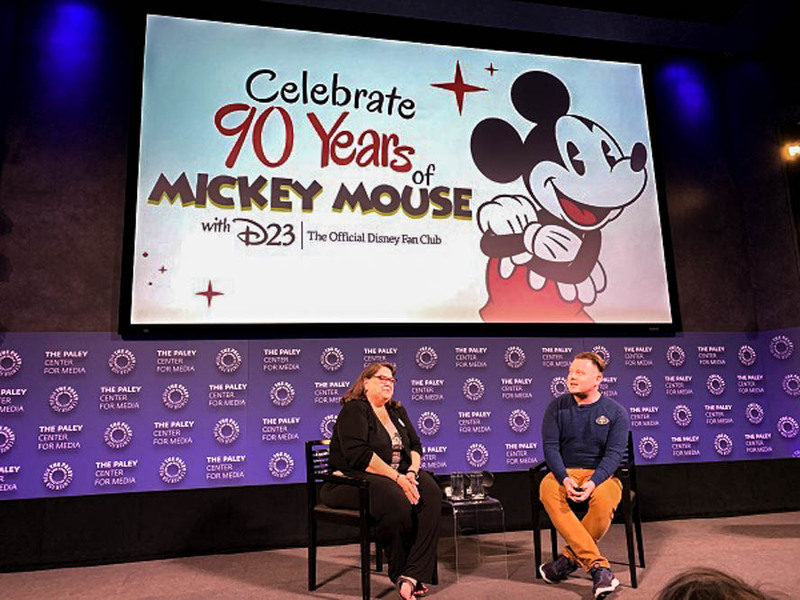 On November 4, ABC aired a two-hour primetime television special, “Mickey’s 90th Spectacular,” featuring star-studded musical performances, tributes and never-before-seen clips of Mickey Mouse. “Mickey: The True Original Exhibition” opened on November 8 in New York City. 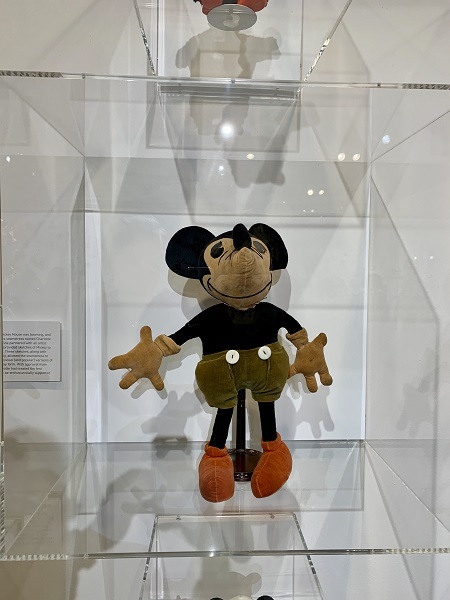 Running through February 10, 2019, this 16,000 square foot exhibition is an immersive exhibition celebrating Mickey’s influence on pop and art culture. 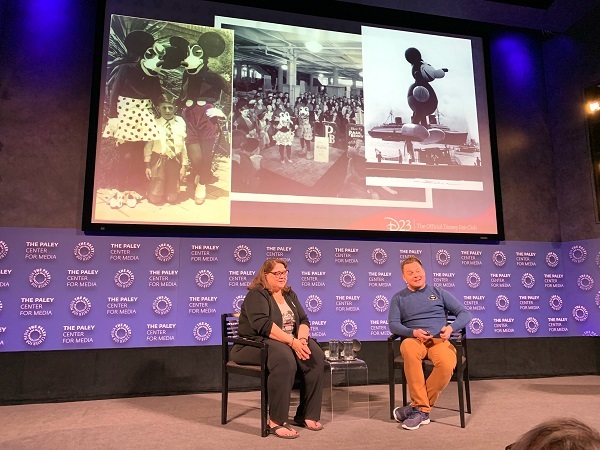 This past Sunday, the Paley Center for Media in New York City also hosted a special panel, in conjunction with Disney’s D23, commemorating Mickey’s 90th Birthday. 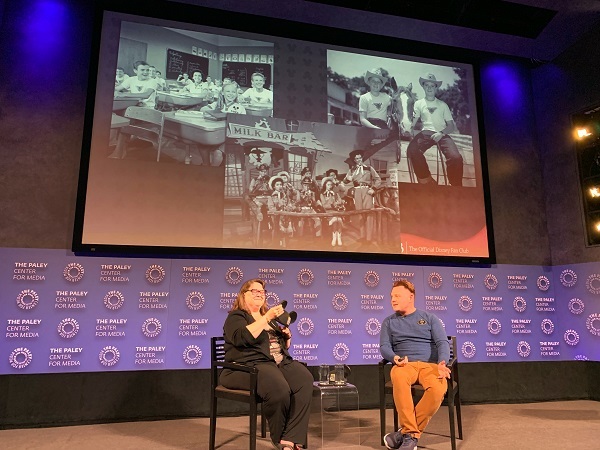 Hosted by Becky Cline, Director of the Walt Disney Archives and Justin Arthur, Manager, Content Integration and Curation at D23, the presentation took a special look at Mickey’s legendary role and influence in animated films, television shows, merchandise, Disney Parks, attractions, and more. 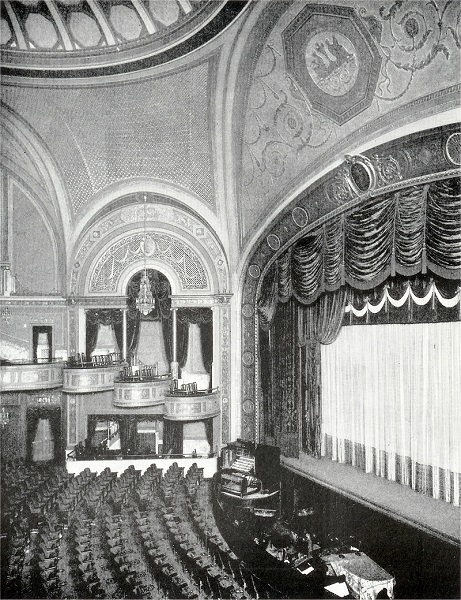 “The very first cartoon anyone saw featuring Mickey Mouse was in a theatre here in New York [City],” said Becky. “It was the Broadway Theatre…the Colony Theatre [back] then.” “Steamboat Willie” was also the very first feature to use storyboards. The first Mickey plush was made locally in Los Angeles. Charlotte Clark, a seamstress who lived in Burbank, made a Mickey and Minnie doll for fun and gave it to Walt. He loved them so much he said, “This is the way it should look…this is the one that we want.” So he set her up in a business near the studio with a couple of seamstresses and they hand made the first Mickey Mouse dolls. To keep up with the demand they made a pattern; the McCalls Company sold the pattern so people could make their own at home, but that still didn’t help them keep up with the demand. They eventually signed a licensing deal to mass produce the Mickey [and Minnie] dolls. 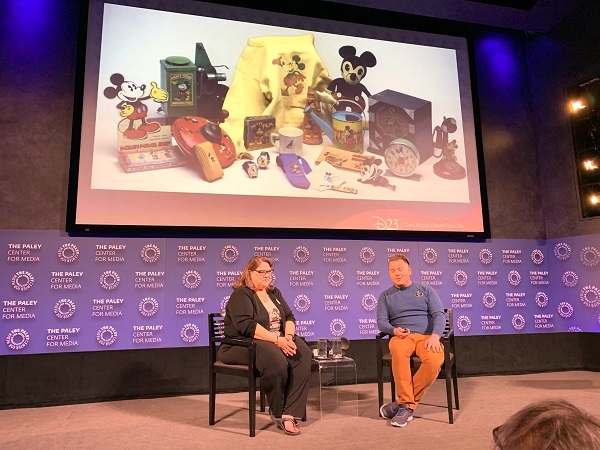 They then talked about the explosion of Mickey merchandising and showed an assortment of items that were produced, including a pocket knife and some truly bizarre-looking Mickey masks and costumes. Moving on to the first Mickey Mouse Club — the one in the 1950s wasn’t the first one, the one in the 1930s was. This club consisted of children who would gather at their local movie theatres dressed in Mickey outfits. 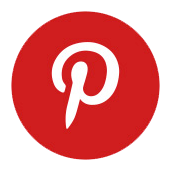 It started in the United States and then spread worldwide. Then they moved into the 1950s and talked about Walt’s foray into television. 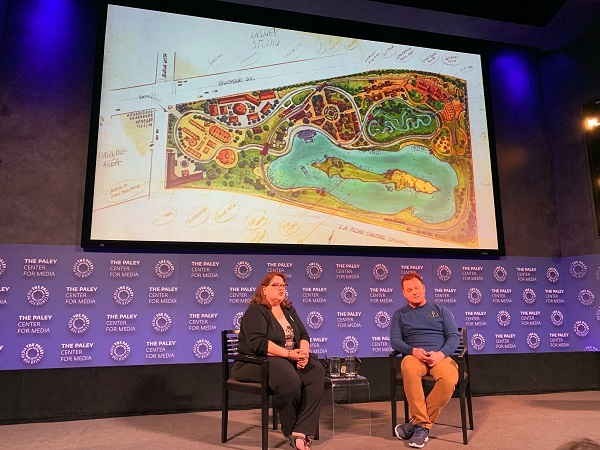 He was interested in building a theme park — Disneyland — and needed someone to help him fund the building of the park. That someone was ABC. In exchange, Walt would produce specials for them including a Sunday night television show and a children’s show. In 1955, The Mickey Mouse Club television show was born. According to Becky, it was the first serialized television show for children. The Mickey Mouse Club gave us a number of things that became part of American culture: Annette Funicello and the iconic Mickey Mouse Ears. Roy Williams, a Mouseketeer, but better known as the Big Moosekateer, was the one responsible for creating the first set of Mickey Mouse Ears. Today, the ears are one of, if not the, best-selling souvenirs at Disney Parks worldwide. “Walt used to get letters from children who wanted to see the Mickey Mouse Club and Snow White,” said Becky. “He got this idea to do a theme park and it was going to be called Mickey Mouse Park. It was going to be across the street from the studio…there was this interesting little area across the street from the studio.” Eventually that parcel of land proved to be too small and he eventually settled on a large area south in Anaheim. They showed what the Mickey and Minnie Mouse walk-around characters looked like at that time. Becky said they were getting better at making them look more like the animated characters, but they were “still a little scary.” The in-park Mickey that we all know today was finally achieved in the late 1960s. Walt and The Disney Company had a lot of “firsts,” and the Disney Archives are no exception. After Walt passed away, Roy O. Disney hired Dave Smith to preserve and catalog everything in Walt’s office, as well as to go around the company and gather up everything he could find. Thus the first entertainment archive was born. Becky said they are also probably the largest entertainment archive as well. So how did they decide what day was Mickey’s birthday? Well, while gathering up various studio materials, Dave found a program from the Colony Theatre dated November 18, 1928. On the program of features and attractions for that day — at 2:00 p.m. — was “Steamboat Willie.” As Minnie has also appeared in this and earlier features, her birthday is the same day. Becky and Justin then covered Mickey’s reemergence into animated features. Mickey’s Christmas Carol was released in 1983 and was the first Mickey Mouse theatrical cartoon in 30 years. The Mickey Mouse Club was back on television in the late 80’s — this time as The All-New Mickey Mouse Club — with soon-to-be famous Mouseketeers Britney Spears, Ryan Gossling, Christina Aguilara, Justin Timberlake, and Kerri Russell. In 2013 Mickey was featured in a very innovative and unique short, “Get A Horse.” This short features black-and-white hand-drawn animation, color animation, and CGI animation. Mickey also made his way into video games. Although Mickey has appeared in attractions at Disney Parks — The Mickey Mouse Revue and Mickey’s PhilharMagic — he has never had his own attraction. In 2019, Mickey and Minnie will be the stars of Mickey & Minnie’s Runaway Railway at Disney’s Hollywood Studios. In 1953 Walt wanted to create a portrait to celebrate Mickey’s 25th anniversary, so he held a contest in the studio and John Hench’s portrait was chosen to honor Mickey. Hench then did portraits to honor subsequent major anniversaries for Mickey. When Walt passed away, Lillian gave an orange cardigan to John — one that Walt used to wear. For Mickey’s 70th Birthday, in 1998 Mickey is wearing an orange cardigan based on that one which Walt used to wear. 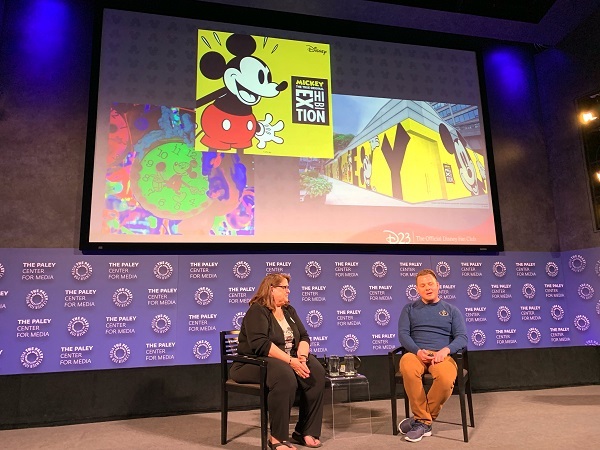 At this year’s San Diego Comic Con, Disney unveiled Mickey’s 90th Birthday portrait painted by Disney animator Mark Henn. The lecture was terrific. 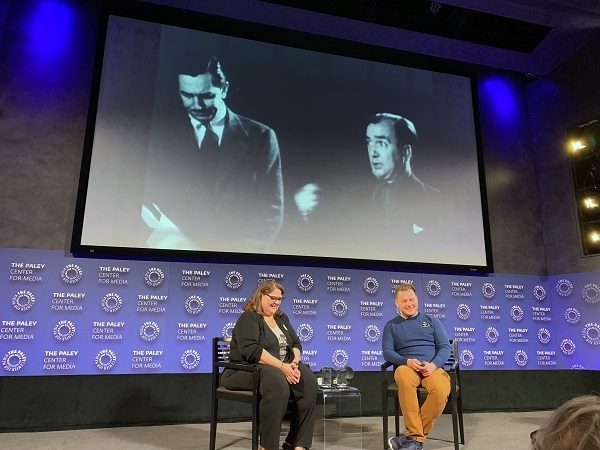 Becky and Justin presented the material in a fun, informative, and relaxed manner and the Paley Center for Media provided a wonderfully intimate setting.